Oklahoma Senator James Lankford's law would require UNRWA to change its definition of Palestinian refugees or the US will sever ties. US Senator James Lankford (R-OK) has proposed legislation that would permanently sever Washington’s funding to UNRWA if it does not change its definition of “legitimate Palestinian refugees”, reports i24news. Lankford said Thursday he was introducing a bill that would enshrine President Donald Trump’s decision to end US funding to UNRWA in law and open the door to a resumption of funding if UNRWA stops bestowing refugee status on descendants of male Palestinian Arab refugees who fled what is now Israel in 1948 or the 1967 Six Day War. “We are currently funding an entity that has ensured that a refugee population of several hundreds of thousands 70 years ago has exploded to more than 5 million,” said the Senator. “This is not sustainable -- for American taxpayers, who are asked to finance the welfare of these individuals, for the Palestinians themselves, or for the Israelis,” he added. "This isn’t about cutting funding for aid to the Palestinians; it’s about providing foreign aid the right way so people’s lives are actually improved and American interests secured,” said Lankford, according to i24news. 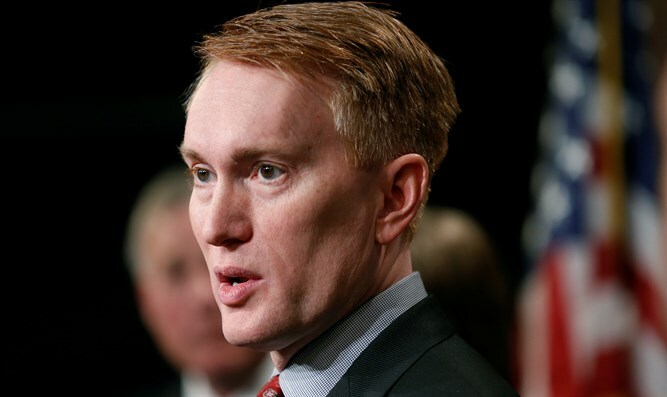 Lankford’s initiative comes a week after the Trump administration announced it would no longer fund the UN agency for “Palestinian refugees”. The announcement by Washington came several months after it decided to cut some of its funding to UNRWA, citing a need to undertake a fundamental re-examination of the organization, both in the way it operates and the way it is funded. A report last week said that the White House is expected to insist UNRWA that slash the number of Arabs recognized as refugees, though the State Department statement announcing the cut to UNRWA made no mention of this. The administration’s move was met with anger in the Arab world. Jordan’s foreign minister warned the decision would only fuel radicalism and harm prospects for Middle East peace. The Palestine Liberation Organization (PLO) called on parliaments around the world to oppose the US decision and fight it through the UN General Assembly and Security Council.